The RB-HD1 Stereo Headphone Amplifier. The RB-HD1 is a 1U rack-mount stereo headphone amplifier for driving up to two pairs of professional stereo headphones from a single stereo or mono input. One headphone socket is on the front panel with one on the rear. The main stereo input uses electronically balanced XLR-3 connectors on the rear panel, which can be wired un-balanced. 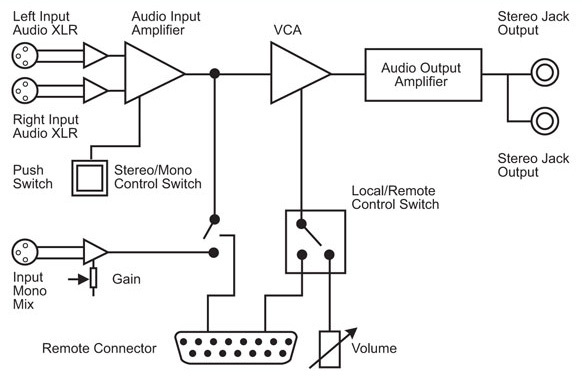 The output volume for the headphones can be controlled either by a pot situated on the front panel or a VCA signal supplied externally via the remote connector.